These wood clog steel toe shoes are preferred by chefs worldwide, and feature a wooden birchwood insole, providing unparalleled arch support. 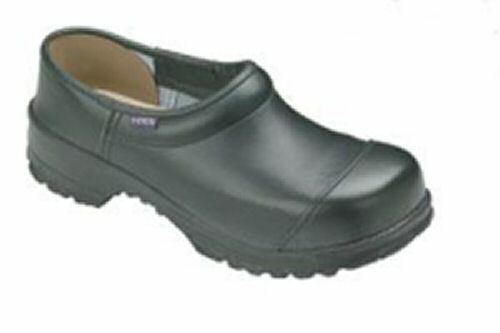 These wood clogs with a steel toe are ideal for those who are standing 8 to 16 hours daily. Please refer to the size chart to find your European size for this Sika Clog. Please note: Model 1129 fit one size larger. This means that if you normally where a size 7, you should order a size 8. Always order one size larger than your normal shoe size when ordering this model.